As we enter the 21st century and a new millenium, Satan has devised the delusion that mankind is entering into an important evolutionary phase - a New Age. The push for "global enlightenment" has now extended to the vast reaches of the universe, into what could be deemed as a "space" religion. However, once this nebulous veil is lifted, a definite correlation emerges between the UFO/Alien phenomenon and occultic/satanic activity. They were extremely advanced scientifically and technologically. Animal and human sacrifices were performed at an alarming rate, preceding their demise. They believed they had acquired metaphysical knowledge from the "gods", whom they perceived as coming from the stars and also the subterranean level of the earth. These cultures disintegrated or became abruptly extinct while at the pinnacle of their existance. Many of these revered and feared entities were described as looking like winged-reptilians or dragons. 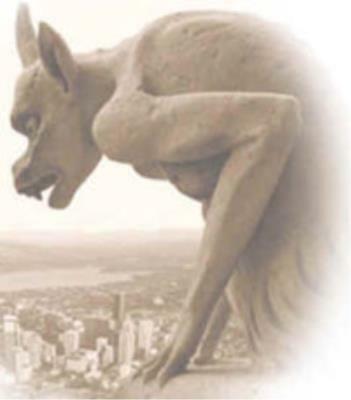 Similarly, Satan and his minions were depicted in an identical manner, as seen in artwork throughout the centuries. A monograph entitled, Reality of the Serpent Race, by Branton, reveals, "In Genesis 3 we read about the 'Nachash'; Hebrew word for 'Serpent'. The original Nachash was not actually a snake as most people believe, but an extremely intelligent, cunning creature, possessed with the ability to speak and reason." Another significant parallel from the Holy Bible is shown in Jeremiah 8:17, "Behold, I will send serpents, cockatrices among you, which will bite you, saith the Lord." The definition of a cockatrice is a reptilian bird-like creature or winged-serpent. This could very well represent the Phoenix, described in Egyptian mythology. A theory proposed by Bible scholar I.D.E. Thomas asserts that the race of the "Nephilim" (meaning Giants and/or fallen ones), mentioned in Genesis 6:4 and Numbers 13:33, closely resemble the alien race of the blond Pleiadian Nordics, reported to be eight to nine feet tall. The Nazis attempted to revive this mystical Aryan race in the 1930's and 1940's. Mr. Thomas believes that a hybrid offspring culminated from relations between the Nephilim and the "daughters of man" resulting in increased wickedness upon the earth; and thus evoking God's wrath in the form of the "Great Flood". Interviews taken of ex-Wiccans and Satanists (now Christians) indicate a high level of personal contact with various alien types, especially during coven meetings and holiday rituals. Those coming from the highest echelon of Satanism known as the Illuminati, believe the original people who inhabited the earth descended from Mars via the Moon. They believe the first established civilization was Atlantis. Renowned for their superior intellect, the Atlanteans suffered the same fate as a few of the proceeding cultures already mentioned. The remnant people from Atlantis became the American Indians, according to their interpretation of history. Individuals possessing a high degree of psychic ability. Similar phenomenon occuring with other family members (multi or trans-generational). Native Americans and/or indigenous peoples. Children who have been subjected to severe abuse or trauma. Individuals and/or family members affiliated to government and/or military intelligence agencies or departments. In conjunction, a strong relationship exists between occultic ritual sites, top secret military installations, and UFO/alien sightings and abductions. There also appears to be a magnetic spiritual vortex (or vacuum) which has drawn an many "New Agers" into these areas (Taos, NM; Sedona,AZ; Boulder, CO, etc.). One prime example is the area near Dulce, NM, where the Defense Advanced Research Projects Agency (DARPA) has a highly-secured underground complex on the Jicarella Indian Reservation -- a region known for Native American shamanism. The facility is said to be used for genetic engineering, including cloning. Several witnesses who were employed there reported seeing different breeds of aliens. Congruently, the Mojave Desert in California has it's share of military bases involved in "black projects", ranging from research and development of "advanced" aircraft to MKULTRA mind control operations (Edwards AFB, Ft. Irwin, and China Lake Naval Weapons Center). Coincidentally, it was the area where Charles Manson and family resided in the late 1960's. It was also the general location described in the book, Outside the Circle of Time (1980) by Kenneth Grant. A portion of the book states, "John Whiteside Parsons [who specialized in jet propulsion] and L. Ron Hubbard, founder of Scientology [and former Naval Intelligence Officer] were involved in a special project during 1945 and 1946... This special project which was carried out in the California desert, was a part of magical ceremonies [black witchcraft] known as the 'Babylon Working', designed by Aleister Crowley, who died in 1947 [year of the alleged Roswell UFO crash and the implementation of the National Security Act]... The purpose of the series of ceremonies performed by Parsons and Hubbard was to unseal an interdimensional gateway, that had been sealed in antiquity thereby allowing other dimensional entities known as the 'Old Ones' access to our space/time continuum. The culmination of the ceremonies was reported to have been successful, having resulted in the establishment of 'extra-terrestrial contact'... Crowley left behind a drawing of his invisible mentors or as he called them, 'Secret Chiefs' [spirit guides], entitled LAM. This entity has a very large head on a small body, a pointed chin, and a little slit of a mouth [description compares favorably to the 'Greys']." Another British occultist, Dr. John Dee, court astrologer for Queen Elizabeth I, would regularly summon alien-like entities. Several abductees, psychics (through out-of-body experiences) and former employees of the Dulce facility reported seeing large vats, full of blood and body parts; essentially, a human stew . Their understanding is particular varieties of aliens, mostly "Greys" bathe in these vats to absorb nutrients through their skin. One of the secretions these aliens crave is adrenaline, which is generated in great quantity when the victim is tortured or traumatized at the moment of death. This glandular hormone is most potent in children. Striking similarities are found in Egyptian Satanism, as graphically detailed in The Egyptian Book of the Dead. "Behold ye then god this great slaughter, mighty of terror, he washeth in your blood, he batheth in your gore." It was common practice for them to sacrifice infants and young children for the purpose of obtaining the life or energy force from the victim. Additional observations by some who have witnessed aliens recall distinct insignias or emblems on their uniforms. To no surprise, alien symbology is identical to that of the Mystery Religions of ancient Babylon. For instance, the winged-sun disk is worn by the "Draconis" or Reptilian race and is prominently displayed throughout the sliding scale of occultism. The double-headed eagle or Phoenix is associated with the Lyrae-Greys; a trademark of the Scottish Rite branch of Freemasonry. A book describing the interaction between non-human beings from other planets and the "enlightened ones" (33rd degree Freemasons) is found in the book, The Hidden Life of Freemasonry. Mario Pazzaglini, Ph.D., published his meticulous research pertaining to alien symbols in a book titled, Symbolic Messages: An Introduction to a Study of "Alien" Writing. He effectively deciphered over 150 samples and concluded that a high percentage of the alien alphabets are similar to magical alphabets of Hermetic and Enochian origins. Mario also surmised that, "Further, messages [from aliens] seem in most people to act as a nucleus for a developing sense of purpose in life, an increased realization that of some kind of 'assignment' from beyond humankind, and a heightened spiritual sense. The specific contents of these ideas can be of any religious denomination, or orientation, and sometimes reveals or develops a totally new religion, usually with conglomerate pieces from known religions and other cosmic, planetary, or stellar schemes." The aliens looked translucent, with large heads upon thin, frail bodies. Their eyes were large and pronounced, but their was no recollection of noses or mouths. Sky and her friend were implanted with a small square, tissue-like substance inside their heads (catscan analysis or x-rays have verified these biological devices exist). Communication with the aliens was achieved telepathically. They (the aliens) told Sky she was not chosen by them, but she out of her own volition, decided to participate in this journey before her present life (reincarnation). To her understanding, these beings are "caretakers" or "guardians" of the planet, Earth. Their function is to bring forth "revelation" through the spirit of unity, and, the earth is the soul of God; a living entity (paganism). It was explained to her that the universe is rhythmic and presently at a peak cycle; what appears to be chaos is actually the birthing of a "new order" (ordo ab chaos?). To enter into the next evolutionary level, new bodies will be needed to re-seed the planet. This hybrid body will be a combination of human and alien (remember the Nephilim?). Her renewed belief system incorporates the expression that negativity brings separation but unity brings love (please read II Corinthians 6:17 & Matthew 10:34). 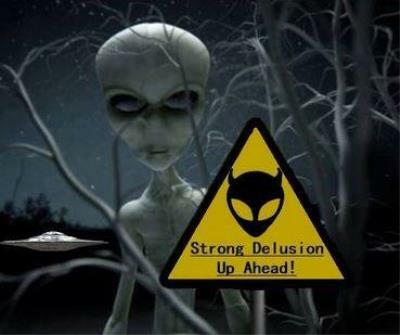 Some skeptics have taken the position that the UFO/alien phenomenon can be best explained as a form of psychosis or hysteria as conceptualized within Jungian psychology. Others view it as an elaborate government hoax, designed to further confuse the American populace. Such an insight is coherently expounded upon in the book, Space Aliens from the Pentagon, by Bill Lyne, former Air Force Intelligence Officer. I believe all the above explanations can exist simultaneously and need not be exclusive from one another. What better way to manipulate one's perception of reality by throwing out several different scenarios, thereby making it difficult to ascertain a consistent pattern or trend that would hopefully lead to finding the elusive "truth". In adding to the perplexity, cattle mutilations have been theorized to be the nefarious work of space creatures for experimental purposes. Others feel it's a result of cultic rituals. Yet, another explanation is that it's a smoke-screen perpetrated by government/military psy-ops in order to escalate our already induced paranoia (Is that a black helicopter I hear?). A few so-called experts in the field of UFOology are excited about the possibility that someday soon, these seemingly benevolent and misunderstood inter-galactic beings will openly reveal themselves to the Earth's human populace and bring about universal bliss. This grand deception is yet another lie conceived by the one referred to as "that old serpent" (Revelation 12:9). As history repeats itself, let it be understood that we are living in a time likened as "in the days of Noah" (I Peter 3:20). With "dark skies" prevailing and the overwhelming presence of evil around us, what are we to do? I Corinthians 10:13 explains, "There hath no temptation taken you but such as common to man : but God is faithful, who will not suffer you to be tempted above ye are able; but will with the temptation also make a way to escape, that ye may be able to bear it." There is no physical place to hide from this onslaught of carnality except by taking refuge in our spiritual fortress, God Almighty (Psalm 91:2). I trust this article provided sufficient information to render an objective conclusion. 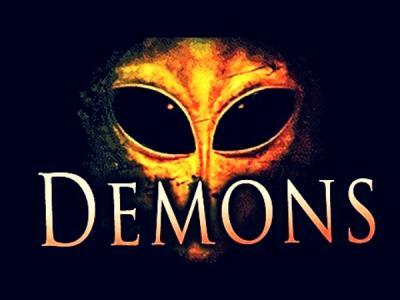 From my perspective, these extra-terrestrials are nothing less than demons in alien's clothing. Grievously, many have and will succumb to this seductive aroma of pseudo-enlightenment (Mark 13:33). May we abide in Jesus, lest we partake in the abominations held within the mystery of iniquity (II Thessalonians 2:7-12).